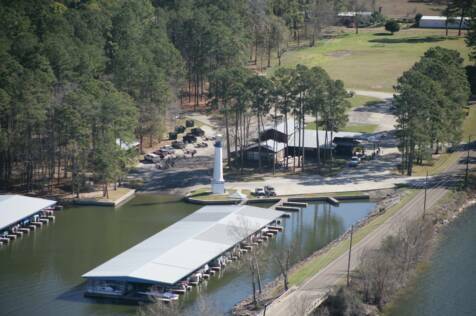 ALL YOUR NEEDS FOR FAMILY FUN ON THE BEAUTIFUL NORTH END OF LAKE CONROE. 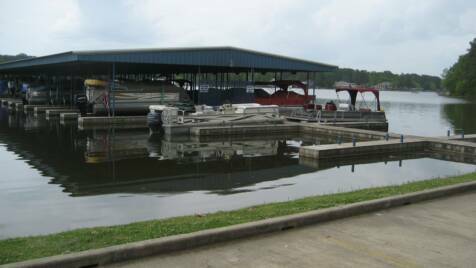 Stow-A-Way Marina & RV Park was built in 1988. 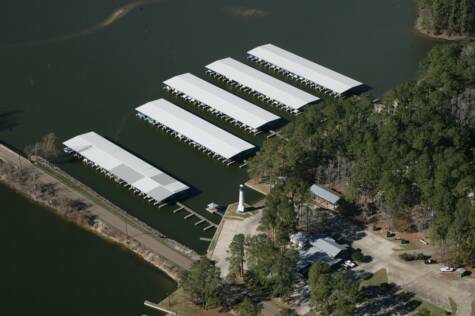 The marina is located 2 miles north of the 1097 bridge adjacent to the Sam Houston National Forest. 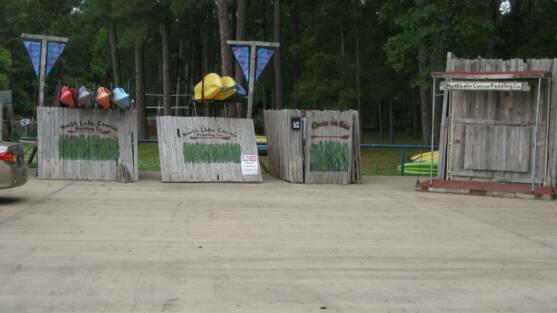 We offer a wide variety of amenities to our customers. 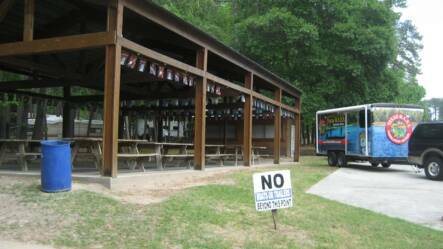 We have a full service RV Park. 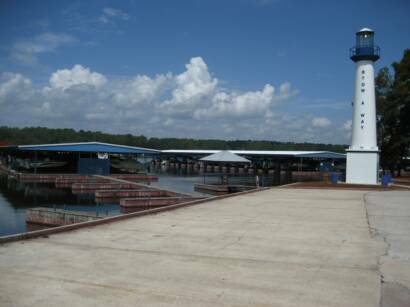 Boat slips with lifts for easy boat storage. 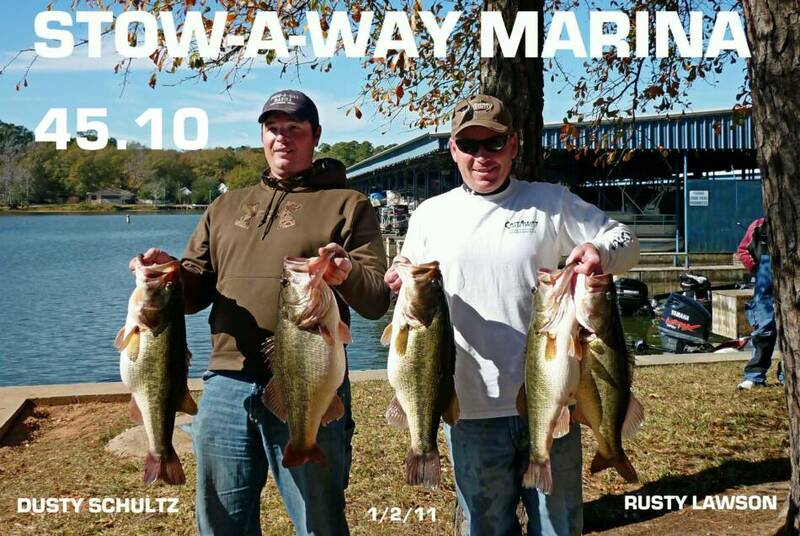 Triple boat ramp. Convenience store. 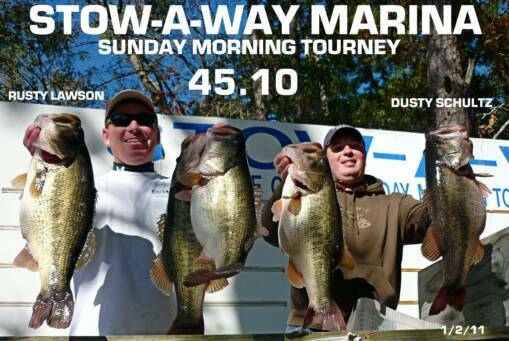 Weekly bass fishing tournaments. Fuel on and off the water. 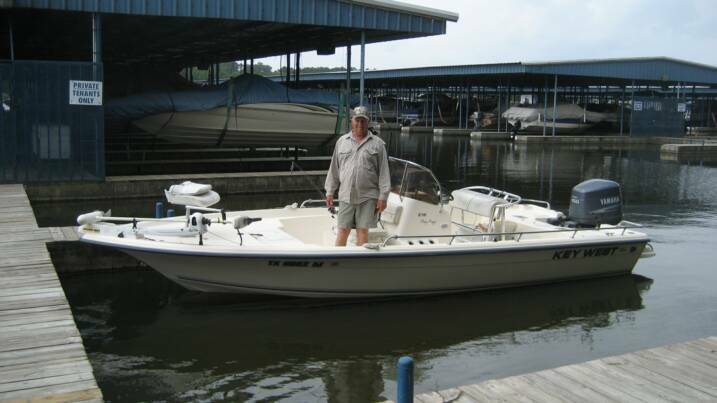 Lake Conroe Guide Service Captain Butch Terpe. Bait and tackle. Pavilion. Cabin rental. Bank fishing. Boat and kayak rental. Boat detailing. Restaurant. 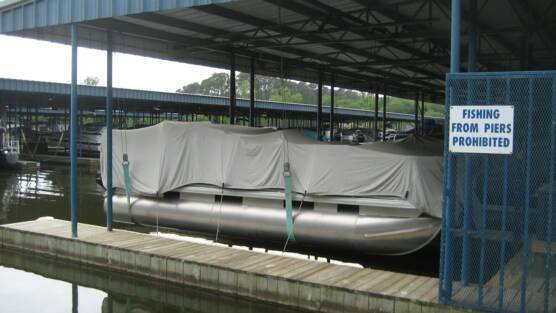 Our boat slips are 10′ X 30′. They include electric, water, and a sling lift system. These slips rent for $200.00 a month on a one year lease or you can pay the full amount in advance and receive a 20% discount. 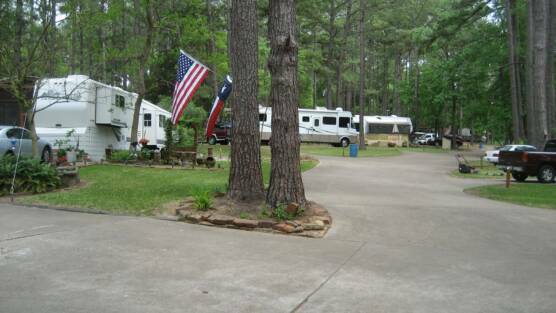 Our RV spaces rent for $25.00 a night, $150 week, and $385.00 a month. 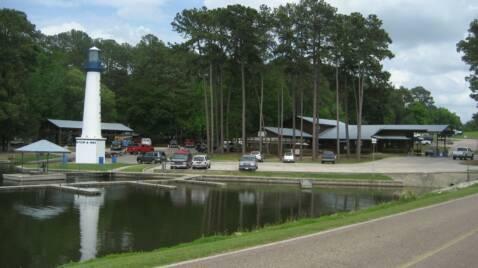 Our park and pad sites are concrete pavement. 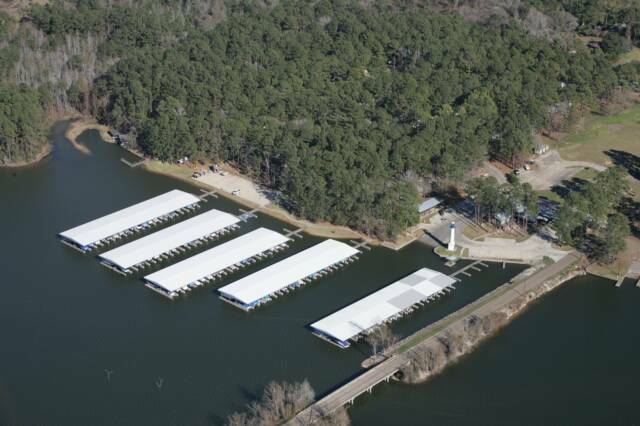 Water, sewer, boat launches, and electric (30 & 50 amp) is included except the electric is an extra fee for monthly rentals. 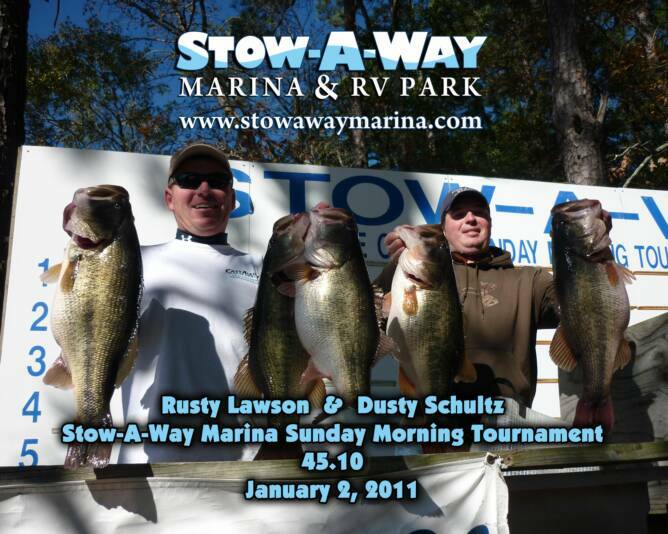 Our cabin rents for $50.00 a night and includes boat launches. It has two rooms with a queen futon bed in each room. 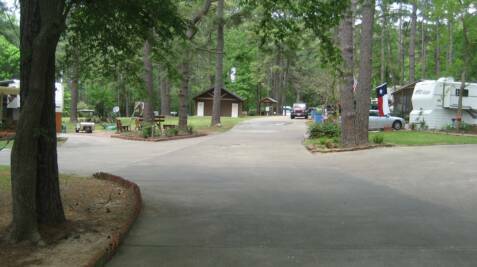 It has a half bath and we have a men’s and a women’s shower house in the RV park. Linens are not included. Our Jon Boats rent for $45 a half-day & $75 a full-day.